VNRE – Condotel model (hotel renting management) began in South Florida in the 80s and now expands all over the world and valuated as “hottest trend” on real estate market. 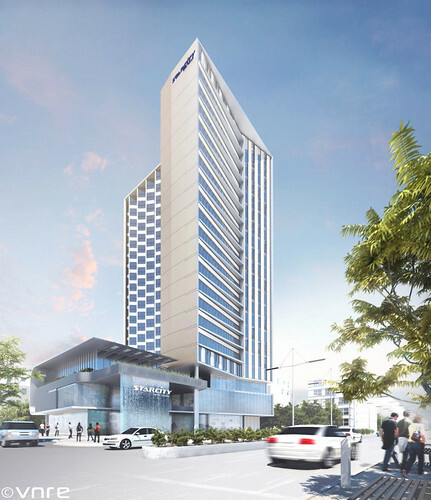 Condotel is tourism real estate model or the ‘second home’ for high class relaxing demand. 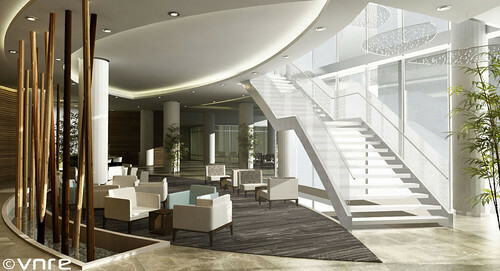 To own the Condotel is the choice of not only noble but also successful people. 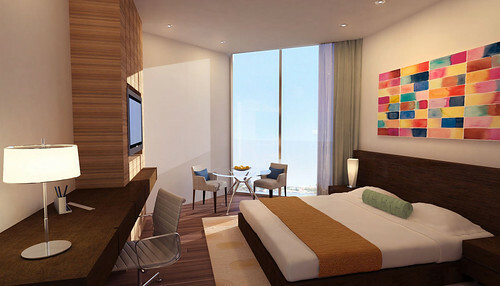 StarCity Nha Trang is a 21 storey – 4 star hotel built on area of 2.454 m2 with 217 hotel rooms and 92 condotel flats. 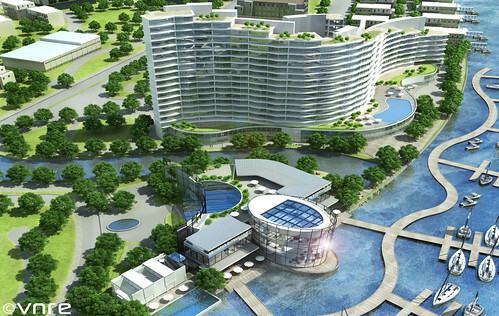 The 2 foundation floors shall be service area of shopping, bar/restaurants, swimming pool, healthcare and spa, etc. 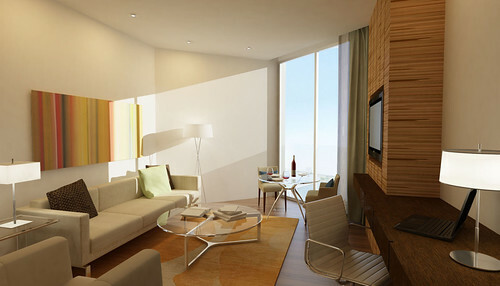 Hotel rooms for tourists are arranged from 3th to 15th floor and condotel apartments are on 16th to 21th floors. 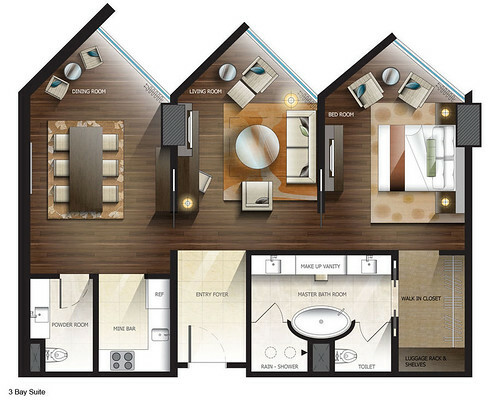 Condotel flat has moderate area from 33 to 99 m2, suitable with the invesment budget of the customer. StarCity Nha Trang hotel is a fully serviced combination with conveniences and public services such as swimming pools for adults and children, conference room, bar/restaurant, spa and healthcare, bank, ect. 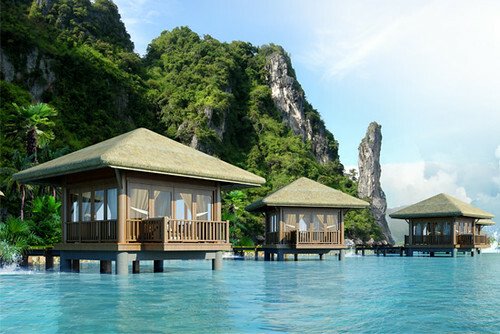 Living in the condotel room, the owners escape from the city dust and noise to set free their spirit to the sea and also make profit from their assets by renting the condotel rooms during the time they do not use. The project was started construction on 23/03/2012, basement pakage is expected to be completed within five months of construction. 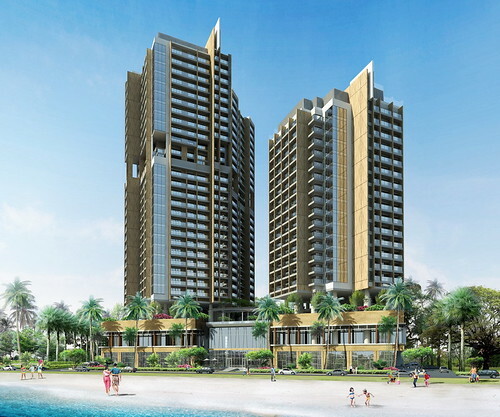 VNRE – Located in the series of The Bayview project, The Bayview Towers – Nha Trang brings the style of The Bayview to Nha Trang City. 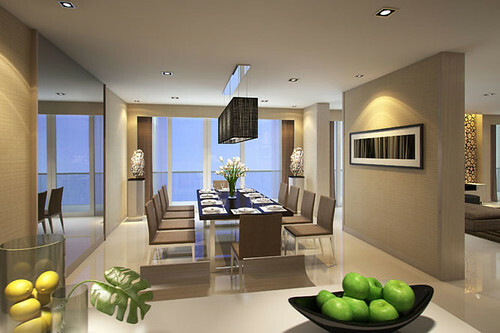 From apartments of The Bayview Towers – Nha Trang, the sea appears as a soft, deep blue silk on the white and smooth sandy beaches. Here, each apartment as a premium spa helps you to relax in comfort after a busy chaos of everyday life; and only here, you can leisurely swinging on the hammock, listening the waves, the wind blowing into the coconut leaves as a ocean symphony. Life at The Bayview Towers – Nha Trang is a comfortable life in high-end resort where you can play golf, enjoy on the boat, swim or explore the ocean… At The Bayview Towers – Nha Trang, life is unexpectedly pleasant experience. The Bayview Towers – Nha Trang project has 384 apartments (1-3 bedrooms) with an area of from 55 to 120 m2, modern design and elegant. 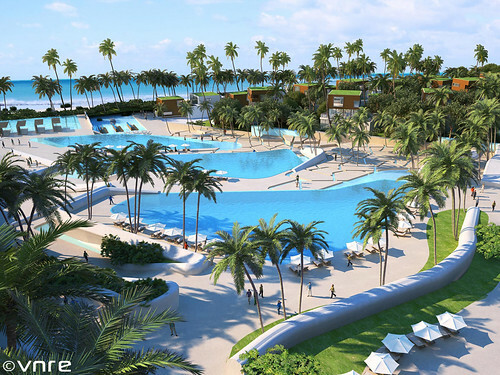 The harmony between tradition and modernity will give residents a fully facilities according 5 star hotel standards between a peaceful space of a luxury resort. 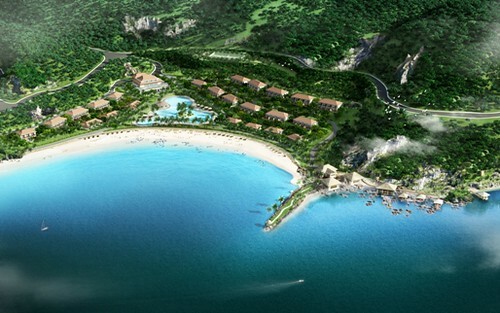 VNRE – Cam Ranh Resort is a five star destination and sanctuary, a place where people may take refuge from the polluted city and busy life style to a relaxing destination. 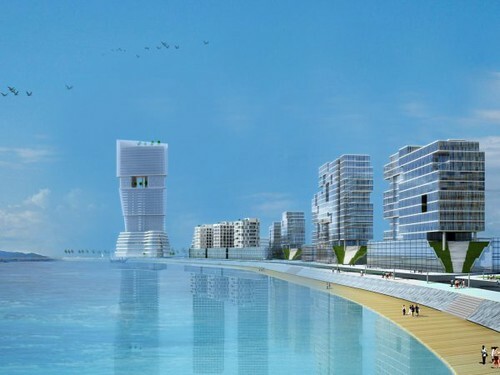 The master plan’s axis for the individual components of the project runs from the buildings towards the sea, making use of the landscape and opening spaces. 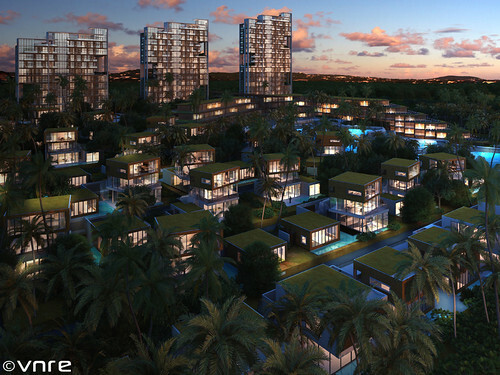 The low-rise villas and buildings are spread out along the low lining land creating a focal point at open vistas, promoting a sense of peacefulness and relaxation. The hotel main entry drive is separated to create a sequencial experience on arrival offer security and privacy to the guest. 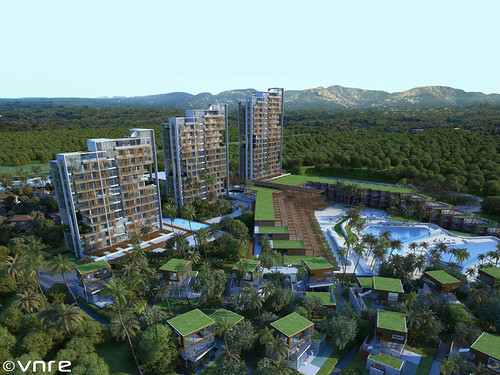 The proposed development has a site area of 150,852sq.m with a total G.F.A. 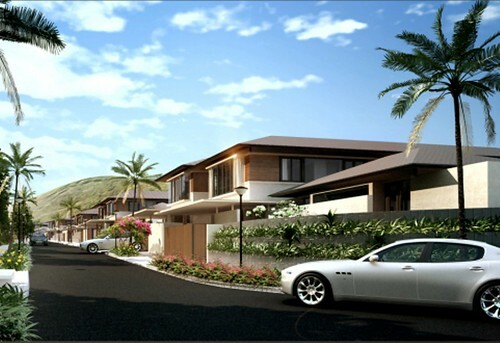 of approximately 57,000sq.m with deluxe resort hotel, villas spa centre and condo. VNRE – The Costa Nha Trang is a symbol of modern living at a luxury 5-star building beside The Crowne Plaza Nha Trang hotel with 19 floors. 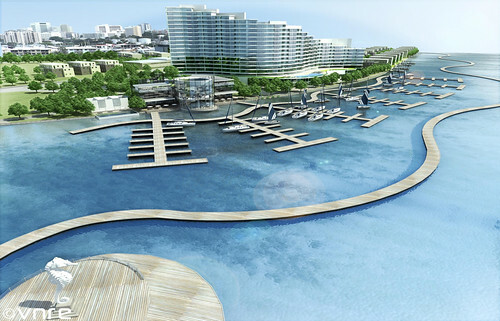 Total project area of 12,042 square meters, located on the “golden street ” of Tran Phu in Nha Trang beach city, with a total investment estimated at $147 million. 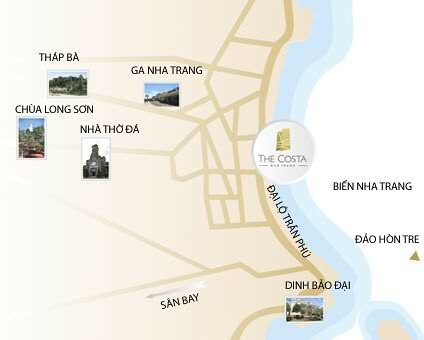 With 308 hotel rooms, 244 luxury apartments, 5 star facilities including a swimming pool, gym, spa and a luxurious Chinese restaurant, The Costa Nha Trang offers you a new level of high end sophistication. 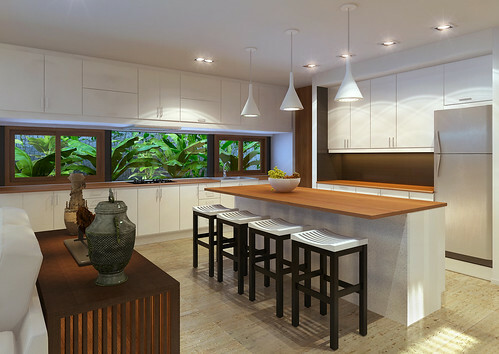 The Costa Nha Trang is a convergence of talent in architectural design and interior decoration from the team at MAPS Design. 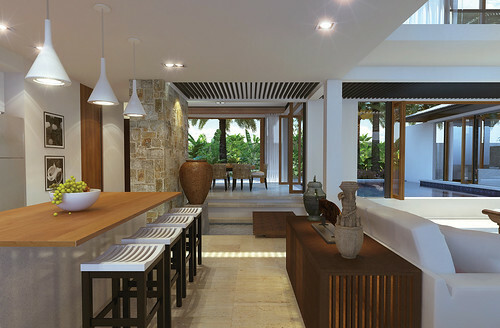 Tan Hock Beng, a renowned architect known for designing hotels and resorts around the world, leads the way with his vision of The Costa Nha Trang. 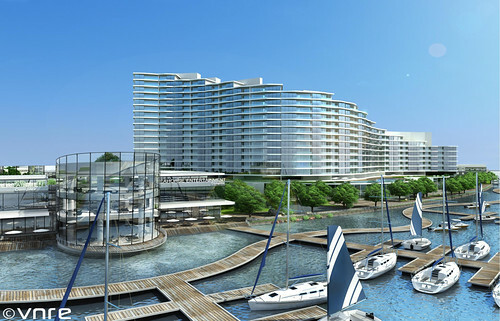 The project focuses on sophistication, meticulous design details inspired from the mysterious and compelling Nha Trang City nature and culture; all things creating a harmonious combination between modern construction technology with the most seductive cultural background of the city. 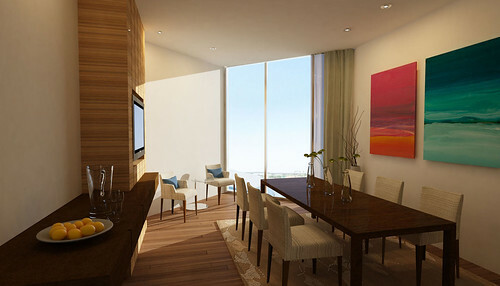 The Costa Nha Trang Residence is a place that offers the highest quality of living with the collaboration of international management groups Cushman & Wakefield and International Hotels Group (IHG). 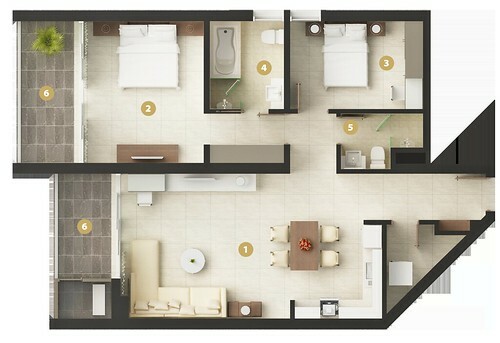 – The lower residence: designed in a modern living style from 1 to 4 bedrooms, offering you a choice that best fits you and an experience of a whole new lifestyle. 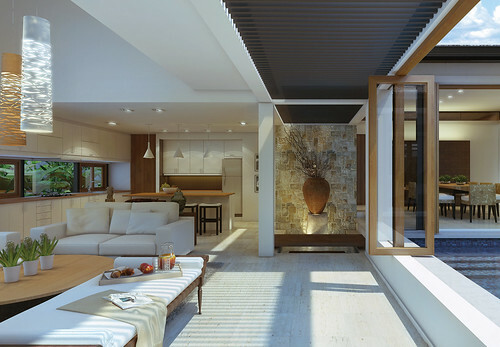 – The upper residence: based on “villa-style” architect designs to give that open space feeling while located on top of the city in the upper levels of The Costa Nha Trang. 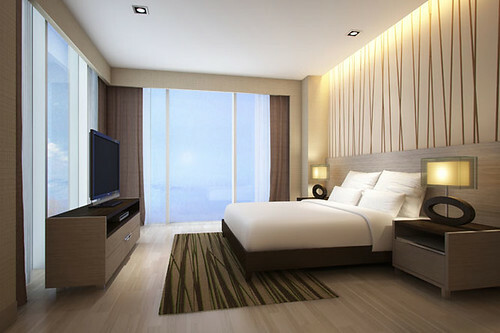 Crowne Plaza Nha Trang Residence is a hotel area with standard design and a 5 star standard of living. Overlooking the sea at the 19th floor or higher, the Crowne Plaza is a special place for you to gaze your eyes into the wide scenery and enjoy the precious beauty that nature bestows in the city of Nha Trang. 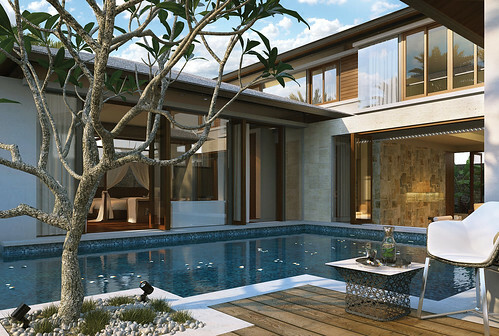 – Swimming Pool: Located on the second floor with a total area of 432 square meters. Immerse yourself in the beautiful blue waters of the pool at The Costa Nha Trang for that harmonious and calming feel. At night, the swimming pool is illuminated with shimmering lights to give that escape to another world of relaxation. 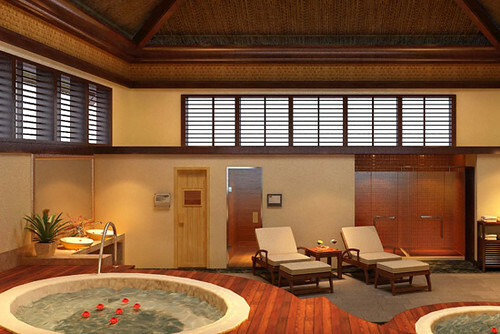 – Spa: Relax and unwind your mind & soul with The Costa Nha Trang’s unique blend of services, products, and experiences. With these special spa treatments, The Spa offers exotic natural flavorings to help you awaken your senses and provides therapeutic benefits. – Gym: As life becomes busier, the gym at The Costa Nha Trang provides state-of-the-art facilities to get your heart pumping. The gym is equipped with modern advanced fitness equipment appropriate with all you need to help you recover that needed energy for that refreshing and revitalizing feel. 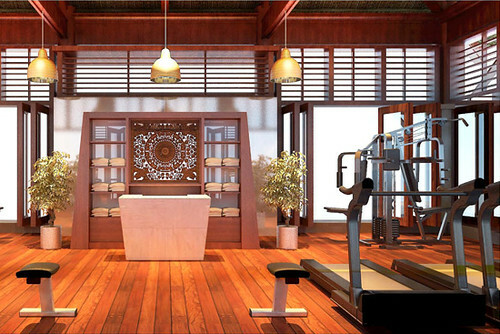 Let the gym at The Costa Nha Trang help you get you back in shape! – Convention Center: Located on the ground floor with 751 square meters, providing all the necessities you need for any type of function. The large conference rooms provide up to 570 seating space with the ability to divide the space into smaller rooms according to your specific needs. 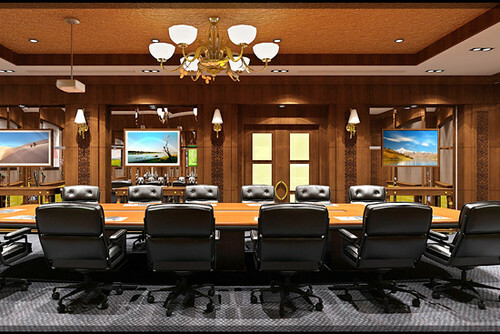 Arranging a meeting with a presentation style full of elegance and distinction becomes ever so easy. 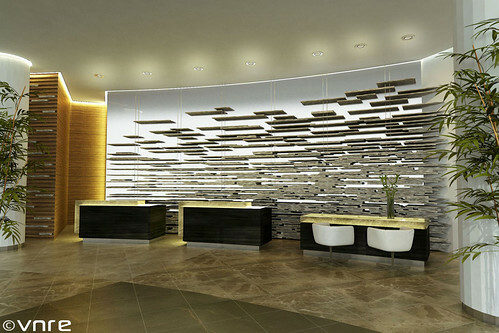 The Costa Convention Center offers a professional style service, luxurious interior and modern decoration which will give you an environment that blends business and pleasure. 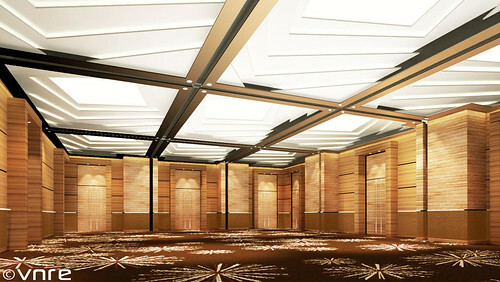 The Conference Center is always proud to connect you with success in special important events. 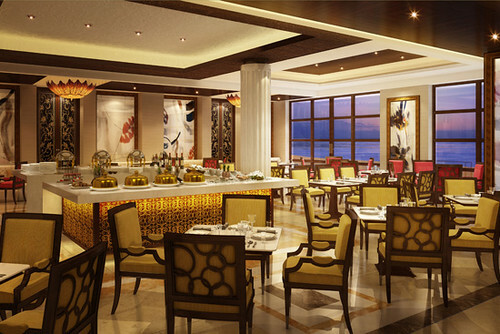 – Cuisine: A Chinese inspired culinary background occupies the kitchens at The Costa Nha Trang. 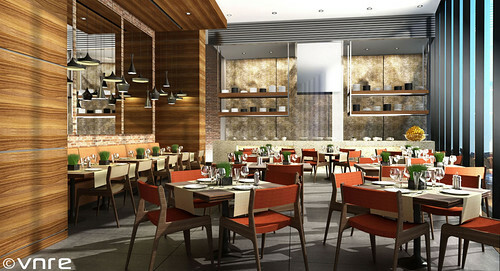 The restaurant at The Costa Nha Trang offers to diners dishes based the essences of raw materials with the magic touches by the most skilled and experienced renowned chefs. The project was started in June 2010, until now the foundation has been completed and contractor is building up to level 3rd. 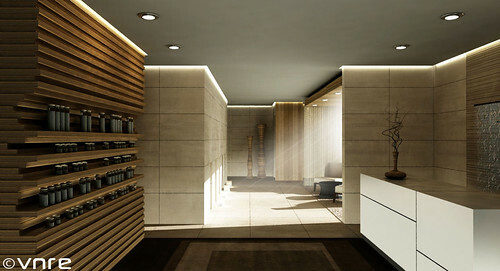 Expected late in 2012 entire project will be completed and transferred to the customer. 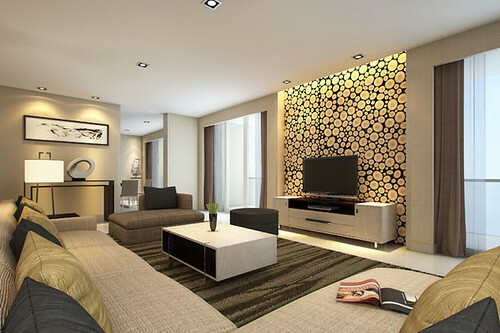 – Location: Tran Phu Street, Huong Xuan Ward, Nha Nha Trang city, Khanh Hoa province. 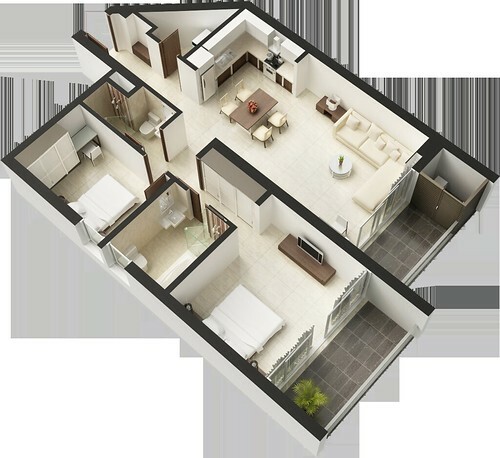 – Land area: 79,348 m2. 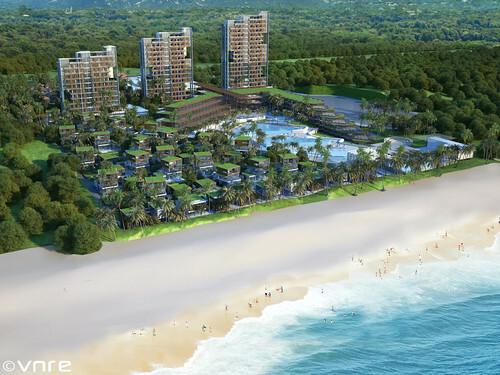 VNRE – The project is located in Nha Trang City, scale of 15 hectares, including 141 lots (103 lots villa and 38 lots row-house) with an investment capital of 202 billion VND. 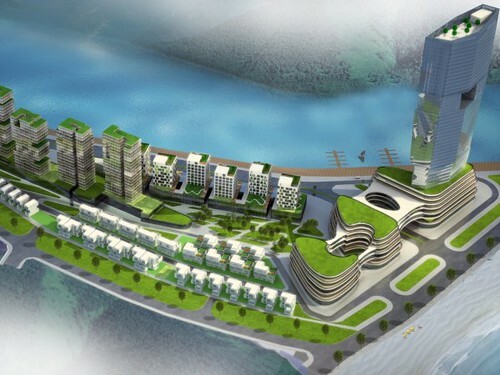 The project by Trung Tin Consultant and Investment company as an investor and Dat Xanh Hoa Cau Investment Corporation as exclusive distributor. Giang Huong Eco-villa has a beautiful location, only about 6 km from the coast, lies on the Phong Chau road is in the perfect stage, about 3km from Nha Trang – Da Lat highway. 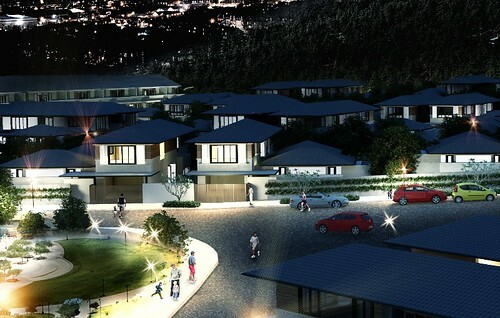 The project’s villas are spread along the hillside, surrounded by two mountain ranges with natural woods to create layered architecture. 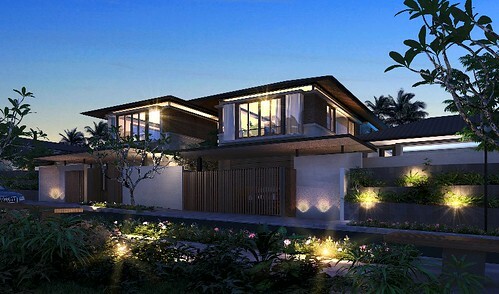 With this architectural style, residents can see the whole of Nha Trang and surrounding natural greenery. 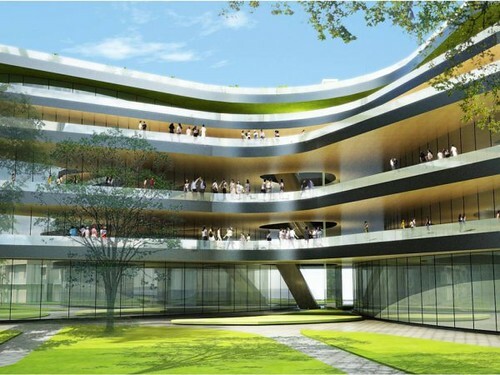 In addition, the project also have full facilities (kindergartens, shopping centers, sport clubs, children’s playground …) between nature. The project was started construction from the first quarter. 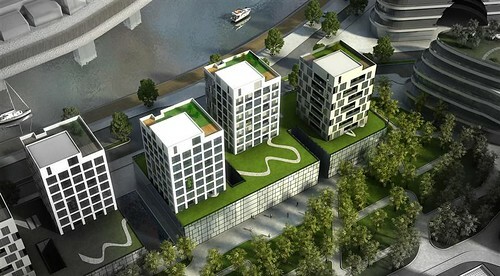 Expected to be completed in the quarter IV/2011. 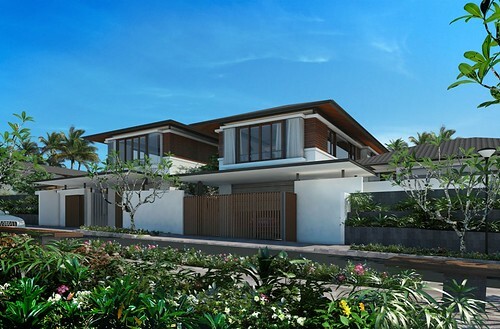 Currently, Giang Huong opens sale of the first phase with 60 plots villa.